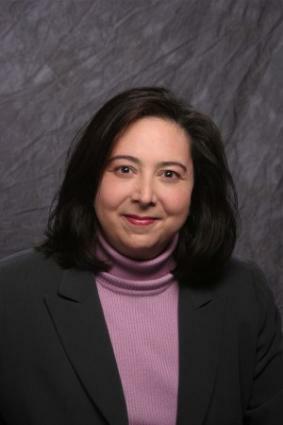 Marjorie Just is a Principal of the law firm of Offit Kurman, P.A., in Bethesda, Maryland. She practices law in Maryland and Washington, D.C., where her practice focuses on the negotiation, settlement and litigation of complex Family Law matters, including divorce, custody, alimony, child support, property distribution, separation agreements and prenuptial agreements. She also serves as a Mediator of family disputes and a Collaborative Lawyer. Ms. Just is the author of Divorce Decisions: Practical Ways to Protect Yourself, Your Children and Your Wallet, published by Capital Books in September 2009, and available at your local bookstore or at Amazon.com. For information about arranging an interview, presentation, or legal consultation, you can contact her through her website at Divorce-Decisions.com or OffitKurman.com. LTK: What is the first decision someone who has decided to end their marriage (or who has learned their spouse is going to do so) needs to make? Marjorie Just: The first decision is how is that person going to take care of him or herself. I deal with this in the first chapter of my book which I called "Managing the Storm" because at the moment you realize or learn that your marriage may be over, it is a whirlwind of emotions and anxiety. A lot of people launch into other decisions without first taking stock of "how do I feel?" "Am I ready to make financial decisions?" "Am I ready to make decisions about moving out," etc. That leads to the answer to your second question about seeing a therapist and a lawyer. The second decision is how that person wants to deal with his or her spouse. There are many routes you can take to get from A (married) to B (divorced). Some are aggressive, some assume that your spouse is not trustworthy or is not interested in what would benefit you or your children. Other avenues assume that your spouse is trustworthy and honest, or that you both want as amicable a resolution as possible and to cause the least harm to each other as possible. What you believe about these factors will inform how you proceed. LTK: Why do you suggest that a separated person get a lawyer and a therapist? Marjorie Just: The first thing I suggest to a person facing a divorce or potential divorce is to see a mental health professional. The reason is that you have a lot of "business" decisions ahead of you that involve your finances, property, if you have children, how to deal with your children and sharing custody with your spouse. It is best to try to take stock of your emotions before you make those business decisions. The more you can vent your anger or frustrations, and sort out how your emotions are playing a role in your behavior, the better chance you have of making decisions that are in your best interest, and not simply a knee-jerk, emotional reaction to being hurt, or betrayed or angry. Second, I do not suggest that you necessarily "get" a lawyer. Some people do not need ongoing legal representation. Instead, I suggest that you buy an hour or two of a lawyer's time. The purpose of this is to get the lay of the land and obtain some information about the divorce process in your jurisdiction, your options, rights and obligations. Chances are, you have not been through a divorce before. Even if you have, times and the law may have changed since then. Gather information so you can see what the landscape of the divorce process looks like. You will gain a lot of information in that first hour. It is the best bang for your buck when spending on a lawyer. At the same time, if you are interested in having a lawyer represent you, an hour's consultation gives you an opportunity to interview this lawyer to see if he or she is a good fit for you. LTK: In your experience, do most clients going through a divorce assume that they will be going through the litigation process as opposed to considering other options for reaching a settlement (mediation, collaborative process)? Marjorie Just: A lot of people are informed about divorce by television and movies, so they assume a rather dramatic confrontation in court, or a very hostile process. It is one of the reasons buying an hour of a lawyer's time can be helpful because it helps a person learn about the reality of the divorce process. Over the last fifteen years, I have seen mediation go from a "new-fangled" concept to a mainstream tool that many courts require parties to participate in. The concept of mediation used to be one that I had to explain to people for the first time. Now, people have usually heard of it and know a little something about it. The Collaborative Process seems to be where mediation was ten years ago. People are starting to hear of it, some people have been through it, but most of the time I am educating people about it. I hope it will follow the same trajectory as mediation and become a commonplace and accepted method of resolving disputes because I think it is an excellent process when both parties are on the same page and want a resolution without the hostility of litigation. LTK: What would you say is the average person's biggest mistake when going through a divorce? Marjorie Just: It's tough to choose just one mistake as the biggest! With the latest scandal involving Tiger Woods, I am reminded of the chapter in my book called Technology and Divorce. In it, I describe that when you leave a voicemail message on your spouse's answering machine (or your paramour's answering machine), you are voluntarily allowing your voice and statement to be recorded. That recording can be used against you, if you leave a message that admits wrong-doing, contains threats, or is an angry tirade that shows your awful temper! The same is true of e-mail. It is a permanent record of your communication that someone can print out and show you in court to demonstrate your bad behavior. Be careful what you say in a voicemail or e-mail message! One major mistake people make is putting their children in the middle of their conflict or exposing their children to the conflict with their spouse. Children need to be protected from it, they need to be given permission to love both parents. Exposure to conflict - whether that conflict is openly fighting in front of your child or denigrating the other spouse when you are alone with your child - is one of the biggest indicators of how well a child will heal from the divorce. If you can find a way to deal with your spouse in a business-like way, it will be better for your children's health and growth. Another major mistake people make, often out of panic, is to start out their divorce process by doing something aggressive, tricky or sneaky. For example, trying to hide money, move money, of give money to someone to hold for you, are bad ideas. There will likely be a paper trail, your actions will likely be discovered, and however well-behaved you are after that incident, all of your dealings with your spouse will be over-shadowed by your initially untrustworthy actions. LTK: What advice do you have for people about making good divorce decisions? Marjorie Just: I think the best divorce decisions are made in a deliberate and thoughtful way, not off-the-cuff, or in the heat of anger, and often after consulting the appropriate people for advice: Lawyers for legal advice, mental health professionals for child-development advice, financial advisors for financial advice. In addition, I think seeing a mental health professional to take care of yourself emotionally is like being on a plane with a child when those oxygen masks come down from the ceiling. You need to put your own mask on first in order to be of assistance to your child. By the same token, you will have a lot more trouble taking care of your children, performing at your job, or making the business decisions you need to make in a divorce if you are not dealing with the emotional fallout of the end of a long-term, committed relationship. Whether you want to admit it to yourself or not, whether it is something you are choosing or is being thrust upon you, it is a major life change. You will do yourself a service if you try to deal with your feelings deliberately, rather than letting them leak out in unexpected ways that may be counter-productive to other areas of your life. I have been very impressed over the years by those clients I have represented who listen to my advice and information, then go away and think about it, perhaps consult a few other people, and then come back to me with a well thought out decision after weighing their options. It is hard to do, especially at this moment in their lives. 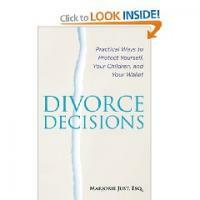 LTK would like to thank Marjorie Just for her thoughtful answers to these questions about divorce decisions.